Hello participants and guests of the forum! 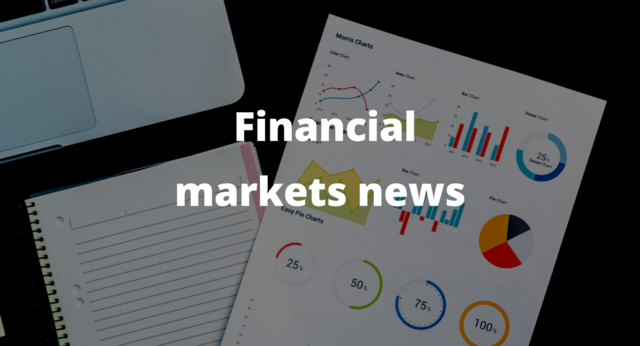 We are glad to introduce you to the Optimus Markets broker! - A wide range of tools - more than 200 currency pairs, indices, CFDs and other instruments. - Deposit without Commissions - Optimus Markets does not charge commissions when replenishing the deposit. ""Standard"" - an ideal option for all traders in the market ""Forex"". ""Gold"" - who prefers to use the long-term strategy of trading gold in the ""Forex"" market. 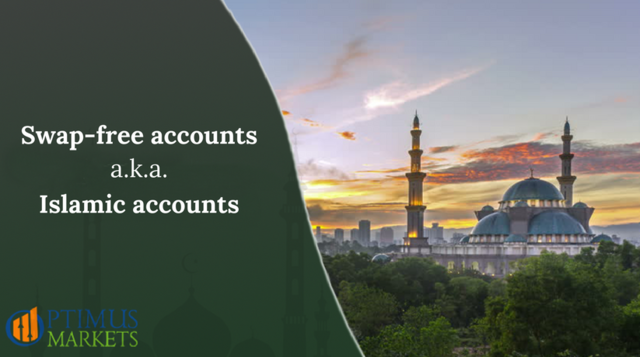 ""Swap-Free"" or ""Islamic account"" - for all those who profess Islam and want to earn money by trading in the ""Forex"" market. BITCOIN ACCOUNT - for all traders wishing to earn on the growth rate of the crypto currency." "We always take care of our customers. Therefore, we have prepared for you a system of different bonuses, so that your trip was even more successful. 40% Bonus - Each client of Optimus Markets has a unique opportunity to receive 40% of additional trading funds every time they make a deposit. Subscription bonus - For a limited period of time you have a chance to benefit from an exclusive offer and receive additional trading funds by simply subscribing to our social network! Happy Ticket Number - The holder of a lucky ticket is chosen every 2 months by random selection. The participation in every next contest happens automatically. The funds you win can be used in trading to receive higher profit. More detailed information on the rules for using bonus funds can be found in the personal account at: https://optimusmarkets.com/bonus-40.html"	"We always take care of our customers. More detailed information on the rules for using bonus funds can be found in the personal account at: https://optimusmarkets.com/bonus-40.html"
The financial market is not always stable, we can not throw away the risks of financial loss in trading on the stock exchange, but we are ready to help you minimize risks! -We constantly improve the level of security. -You can follow the transaction in real time, anywhere in the world from any device! -We are ready to provide reliability and the best conditions in the market! We are always in touch with you and try to make your earnings process as comfortable, fast and safe as possible! The financial markets of Australia, New Zealand and Western Europe will be closed due to the celebration of Easter. China will publish a PMI index in the manufacturing sector from Caixin. In the US, the Institute for Supply Management (ISM) will publish an index of business activity in the manufacturing sector. In New Zealand, the index of business activity will be published. The Reserve Bank of Australia will announce the value of the interest rate and publish a report on monetary policy, which will review the economic situation and the factors that influenced the decision on monetary policy. In the euro area, Germany will publish a report on the volume of retail sales. The UK will publish data on business activity in the manufacturing sector. In Australia, there will be data on the volume of retail sales and the number of building permits. China will publish the value of the PMI index in the services sector from Caixin. The UK will publish research data on business activity in the construction sector. Preliminary data on inflation will appear in the euro area. A report on employment outside the US agricultural sector will be released. The Institute for Supply Management (ISM) will publish information on business activity in the services sector. Why we use TradeMUX trading platform? The American Control Exchange and the composite bond index of Bloomberg Barclays U.S. for the first time published a three-month report, which indicated losses from the middle of 2016. Shares of developing countries stood out, as they gained momentum, but even they fell in February and March. In recent weeks, markets have become dependent on concerns about tightening monetary policy, talking about potential trade war and sales in the technology fund. Most of the major stock indices showed losses in the first three months of the year. The quarter was good for gold, which grew by 1.7 percent three months before March. West Texas oil also advanced, rising in the third consecutive quarter on a combination of production cuts and reliable demand. But even with these achievements, the goods could not positively affect this period. The index of raw materials Bloomberg finished the quarter 0.8 percent lower, which, in particular, affected the main metals. Along with gold, the Japanese yen brought investors a decent profitability in the turbulent first three months of the year. Exchange-traded bonds in emerging markets returned almost 3 percent, while shares of developing countries also sought to grow. Investors, strategists and traders remain optimistic about new assets for the remainder of 2018 amid healthy economic conditions. To minimize trading expenses and maximize profit, you should trade with tight spreads, which are provided by Optimus Markets. We get the most favorable and accurate quotes from our liquidity providers while you get the best conditions to trade. We promote integrity and transparency. Our clients always have access to the complete information about our services. Being an impartial governmental regulatory agency, SVGFSA has reviewed Optimus Markets policies, services and assets. SVGFSA has concluded that Optimus Markets meets all the conditions and requirements of a financial service provider. If necessary, you can contact SVGFSA to receive additional information. After a good growth, Brent oil loses 0.5%. Support is provided by the reduction of tension in relations between the US and China. On the other hand, geopolitical tensions in the Middle East also favor buyers. The chances of imposing sanctions against China are quite high. On Monday evening, data from the American Petroleum Institute (API) was published. For a week, oil reserves in the US increased by 1.8 million barrels (up to 429.1 million). Industrial metals today are under pressure from the dollar. Nickel and copper are losing 0.6% and 0.9%, respectively. Aluminum today also sank by 0.5% due to sanctions sanctions against Rusal. Iron ore in China increased by 0.8%, the second consecutive day against expectations of an increase in demand for metals from the construction sector. At the same time, futures for valves do not show a strong positive dynamics. Gold is down 0.4% on a relatively strong dollar. Gold is supported by geopolitical tensions in the Middle East. Chinese markets today are restrained reacting to the statements of the head of the PRC on reducing a number of duties on imported goods. Yesterday, the Shanghai Composite Index added 1.7%. Meanwhile, inflation in the PRC in March slowed to 2.1% y / y against 2.9% a month earlier. This indicates the cooling of the world's second largest economy. However, Geely Automobile is losing about 2% amid promises to reduce duties on car imports. Also under pressure are energy, telecoms, carriers. In plus, oil and gas assets, developers. On the Russian stock market in the first minutes of trading Wednesday continues to decline after a sharp decline at the beginning of the week against the backdrop of the introduction of new US sanctions, aggravation of the situation in Syria. The MosBirzhi index adds half a percent, after yesterday's rebound by almost 4%. FTSE Russell announced the exclusion of shares in Rusal and En +, which fell under US sanctions, from its indexes, the index provider said. In particular, Rusal's securities will be excluded from the FTSE All-World Index, FTSE Developed Index, FTSE Global Large Cap Index, En + from the Russell Global Index and the Russell Developed Index.